Search for your new home in Cedar Village Ocean Township NJ. 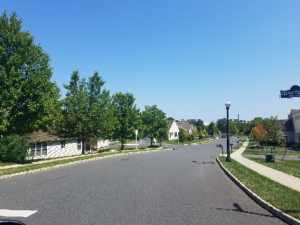 Cedar Village in Ocean Township is a collection of single family homes in an active adult community, however it is not a gated community. It’s in a convenient location because Cedar Village Ocean is about a 1 hour drive from New York City and Atlantic City. In addition, the Jersey Shore beaches are minutes away.The easy access to the Garden State Parkway in addition to Route 35, Route 66, Route 33 and Route 195 make this community an excellent choice for frequent travelers. Nearby, bus service to New York City is available. Also, train service is available to New York City. The nearest train station is in Asbury Park. Shopping and dining are nearby. And of course, the Jersey Shore! The homes in Cedar Village Ocean have either 2 or 3 bedrooms with a 2 car garage. Of the 5 models, two of the models have a loft. The homes range in size from 1500 sq ft to over 2400 sq ft and almost 300 homes are in Cedar Village.. There are first floor master suites in all models, in addition to high ceilings and open floor plans. There are almost 300 homes in Cedar Village Ocean, while the first homes in Cedar Village Ocean were built in 2005. The last house was built in 2014. At the heart of the social scene is the clubhouse. Enjoy casual get-togethers in the multipurpose room, there is also a billiards parlor. Stay in shape with a state of the art fitness center. Additionally, amenities include a business center, lounge, and card rooms. In the summer, relax by the heated outdoor pool. All Adult Communities in Monmouth County offer transportation services. There is a bus service from each community to local shopping centers such as malls and supermarkets, and there is no charge for this scheduled service. There is also a medical transport bus that will take people to any medical facility or doctor’s office in Monmouth County. These trips must be scheduled a few days in advance and there is a minimal charge for this service. 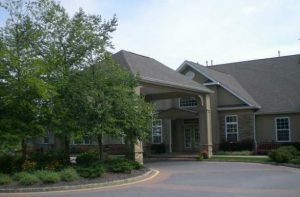 Call today to see the active adult community homes for sale in Cedar Village. Call Bunny and Art at 732-616-6226.